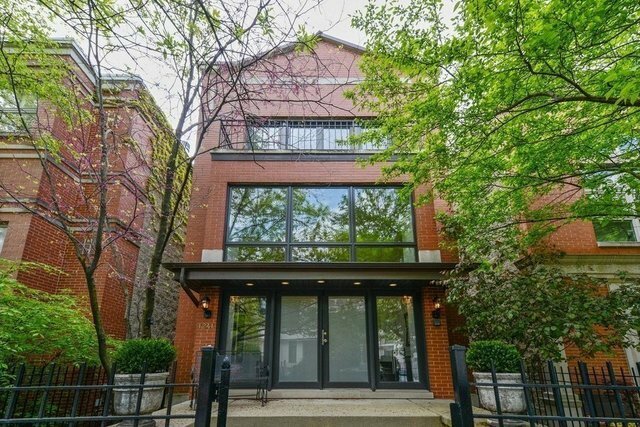 Priced to sell - Sensational dramatic single family home with soaring ceilings and an open floor plan on a beautiful quiet tree-lined street in the heart of Lincoln Park. Grand formal living room features 17 foot ceilings and wood burning fire place. Separate dining room with custom built-ins. Huge granite kitchen with island and breakfast bar opens up to a sun-filled great room with custom built-ins and wood burning fire place. Four large bedrooms and three baths up plus family room and office. Luxurious master suite with marble spa bath, two large walk-in closets and wood burning fireplace. Lower level play room. Elevator between first and second floor. Excellent storage throughout. Custom millwork and lighting, hardwood floors and three fireplaces. Outstanding outdoor space including top floor roof deck, landscaped patio off great room and deck over two-car garage. Brand new roof. Fantastic location walking distance to Oscar Mayer School, transportation, grocery, restaurants and entertainment.